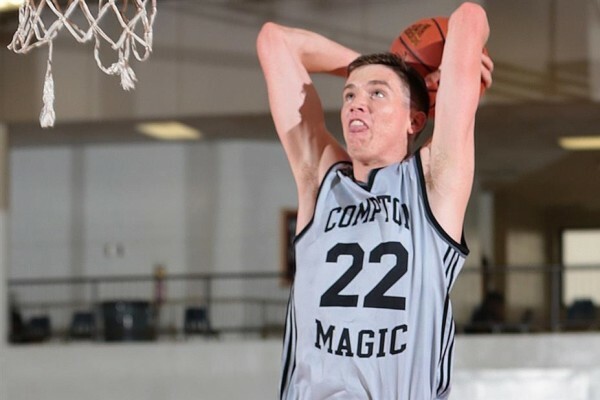 After decommitting from Arizona, T.J Leaf is getting a lot of attention from a lot of schools around the country, and is reportedly considering eight schools: Kentucky, Kansas, UCLA, Texas, California, San Diego State, Gonzaga and Indiana. He’s a five-star forward according to 247 sports, who rank him as the number 12 overall player in the 2016 recruiting class and number 3 on the power forward board. He’s looking for something he calls an open system, specifically suggesting UCLA and Indiana as good fits. Tom Crean, the Indiana head coach, called him up before anyone once the news of his decommitment came out. Leaf is looking for a team that allows its player to play “loose” offensively, something he thinks he can have in Indiana, but probably in other programs as well. Some are suggesting UCLA as the favorites to land him now. He went to school at Foothills Christian high school, in El Cajon, California. UCLA and San Diego State offer the proximity to where he spent his high school basketball days, but it’s unlikely we’ll see him end up playing for the Aztecs. The Israeli-American played very well for the Israel Junior team this summer, helping them finish second in the European championships. The 6’9 forward also has offers from Florida, Duke and Michigan, but doesn’t seem to be considering them at the moment.